At HighEdWeb everyone learns as a community. Campus Sonar is your strategic partner in that community—helping you analyze conversations to find actionable insight. Social listening is a strategic investment for your institution. Campus Sonar can help you find and analyze conversations that matter, seize engagement opportunities, and develop data-informed strategies. Hope We Connected in Sacramento! We were proud to be a gold sponsor of HighEdWeb 2018! Our favorite part of the conference is connecting with the community. We had a lot of great conversations and hope we were able to connect with you. Make sure you check out the data analysis of the #HEWEB17 conversation. Analyst Rochelle Kulas takes you on a social listening adventure—Frodo and all! Ok #heweb18, I can’t keep this secret anymore. 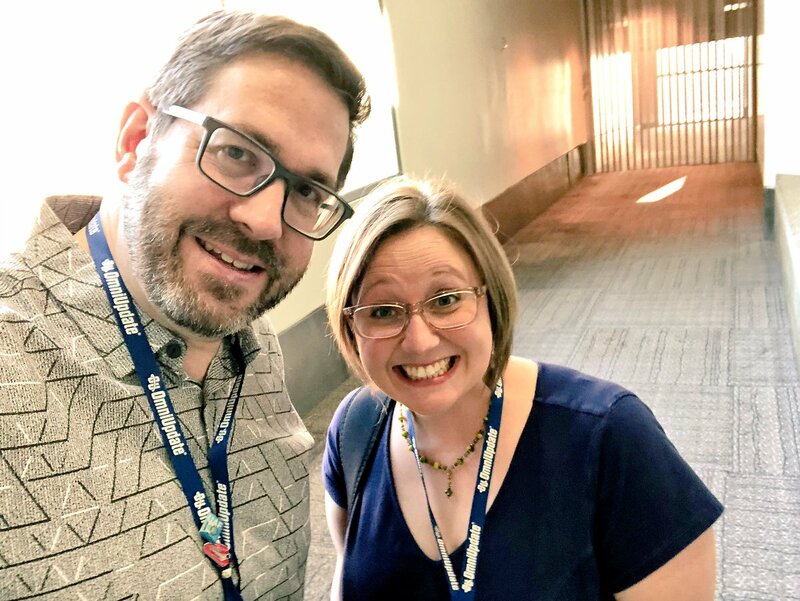 Check out https://t.co/dUANVDl6HH for a wonderfully insightful and GIF-tastic analysis of the people and conversations of #heweb17. You’ll “officially” see it in your reg bags. But for now, let me see your reaction GIFs. You know social listening is important—for crisis communication, reputation management, market research, influencer identification, identifying engagement opportunities, and more. But maybe your vice president doesn’t even know what it is. If you missed Liz's session, we've got you covered! Liz shared a strategic framework to help you put social listening into the context of real campus goals and its impact on the bottom line ($!). Whether you work in marketing, alumni affairs, admissions, advancement, or elsewhere on campus, our handout The Power of Social Listening will help you communicate with your boss, grand-boss, and even your board. Liz Gross deals data and knows you’re hooked on it. Andrew Cassel enjoys taking hits of that sweet, sweet data but says there’s a time and a place to just feel good and forget the numbers. Doing your job successfully means using both your heart and your mind to create effective and engaging material. These two 2017 Red Stapler winners led a rousing discussion about balancing facts with feelings in order to regularly provide engaging content for your audiences. If you're new to social listening in higher education—or even if you've done some conversation analysis—you'll find tips and information that you can immediately put to use. The Higher Ed Social Listening Handbook is your go-to resource for everything related to social listening in higher education. 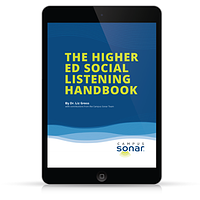 Download The Higher Ed Social Listening Handbook!